The software giant is checking all the right boxes. Quarterly revenue grew 19 pct and net income is healthy. The $830 bln firm is even managing to avoid data privacy issues that are dogging peers with similar market values. Credit boss Satya Nadella for keeping things staid. A Microsoft logo is seen on an office building in New York City in this July 28, 2015 file photo. 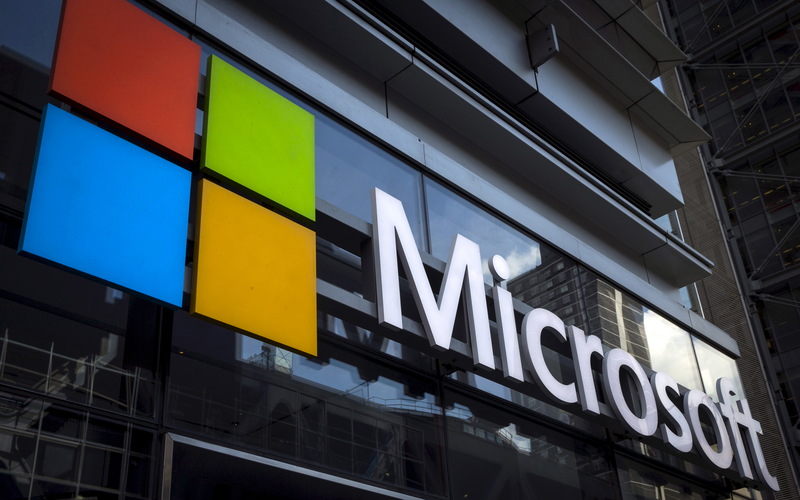 Microsoft on Oct. 24 reported revenue for the quarter ending Sept. 30 increased 19 percent year-over-year, to $29.1 billion. Net income was $8.8 billion, or $1.14 per share, compared with $6.5 billion, or 84 cents per share, a year ago. Earnings exceeded the consensus analyst estimate of 96 cents, according to Refinitiv I/B/E/S.